Kids will appreciate attractions like Adelaide Zoo and Cleland Wildlife Park. Dedicate the 19th (Sun) to wine at some of the top wineries in the area. Next up on the itinerary: take in nature's colorful creations at Adelaide Botanic Garden, get engrossed in the history at State Library of South Australia, admire the masterpieces at Art Gallery of South Australia, and hunt for treasures at Adelaide Central Market. To see reviews, ratings, maps, and tourist information, read Adelaide travel itinerary planner . Singapore, Singapore to Adelaide is an approximately 10.5-hour flight. Traveling from Singapore to Adelaide, you'll lose 1 hour due to the time zone difference. Expect cooler temperatures when traveling from Singapore in May; daily highs in Adelaide reach 22°C and lows reach 12°C. Finish your sightseeing early on the 21st (Tue) so you can travel to Melbourne. 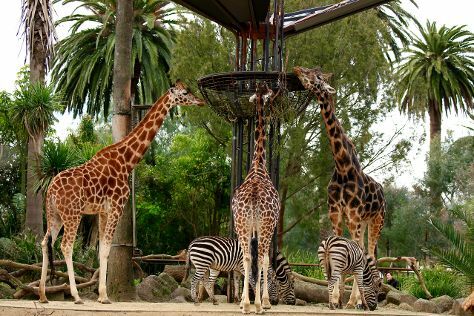 Kids will appreciate attractions like Melbourne Zoo and Melbourne Museum. And it doesn't end there: walk around Royal Botanic Gardens, take in nature's colorful creations at Fitzroy Gardens, observe the fascinating underwater world at SEA LIFE Melbourne Aquarium, and take in panoramic vistas at Eureka Skydeck 88. For reviews, ratings, photos, and other tourist information, you can read our Melbourne route planning tool . You can fly from Adelaide to Melbourne in 3.5 hours. Other options are to drive; or take a train. Traveling from Adelaide in May, Melbourne is little chillier at night with lows of 9°C. Wrap up your sightseeing on the 25th (Sat) early enough to travel back home.